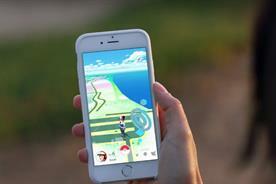 Pokémon Go isn't the only service to have bridged the digital and physical, writes Theo Theodorou, the managing director EMEA at xAd. For millennials, Pokémon was a huge part of growing up in the 90s. Fast forward 20 years, the game is back. Now, instead of trading cards, twenty-somethings are running around the world catching characters in the augmented reality game Pokémon Go. 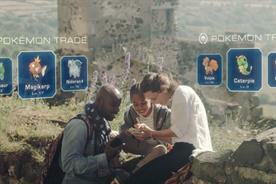 Released today in the UK (14 July), the game uses a player’s mobile GPS to show a virtual version of their world populated with Pokémon characters in different places at different times. By gamifying our location in the real world, in real time, Pokémon Go has taken the internet by storm. Users are spending an average of 43 minutes per day on the app, more than WhatsApp and Snapchat, with the number of daily active users already surpassing of services like Twitter and Tinder. 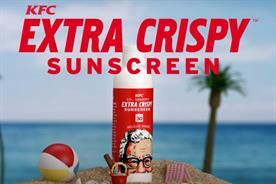 So, what can brands learn from this latest online craze? Pokémon Go has managed to successfully tap into an entire demographic that grew up with its old school card game format. Now all grown-up and mobile-savvy, these consumers are demonstrating the immense appetite for fully merged offline and online experiences via mobile. Mobile bridges the gap between physical and digital, acting as our constant companion and the most versatile communication channel. But, like many popular apps one critical technology has been utilised – location. Pokémon Go isn’t the only service to have bridged the digital and physical worlds using this technology. Location aware apps have such as Uber and Tinder have become so ubiquitous in people’s daily lives that we understand how fundamental location is to enable the delivery of an experience that’s valuable. Snapchat has engaged users with location-specific filters that encourage people to share experiences. From my own experience, xAd has helped brands such as KFC, Asda and Movember utilise location to reach in those moments that matter and drive traffic into real-world locations. With these type of location insights, brands can understand a person’s context and proximity to points of interest, and influence their experiences and actions in the real world. Location speaks the truth about our intentions far more than search and social ever can. For example, just because I searched for the latest BMW model on my mobile doesn’t mean I’m in the market to buy one. I could just be interested in what it looks like. But if through location marketing technology, a high-end car manufacturer was to know I had physically visited a BMW outlet, it’s far more likely that I am thinking about purchasing a car of that calibre. Brands can understand a person’s context and proximity to points of interest, and influence their experiences and actions in the real world. 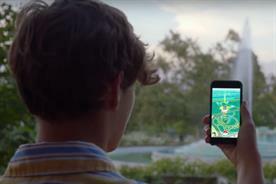 What Pokémon Go has done using an augmented reality, location- enabled app has both proven and flipped this concept on its head. Brands have been using sponsored ‘lures’ that app users can throw to sit outside a physical premise – stores, bars, restaurants, parks, wherever – to drive visitation. So what does this mean? For me, it’s no longer about going to a place because I have a specific need or an interest to satisfy; instead it’s pulling me into a physical location that I may not have considered visiting previously with the ‘lure’ of a Pokémon to add to my collection. This allows marketers to engage in a whole new different relationship with consumers, and opens up a new reason as to why they would head to a point of interest to have a brand experience or purchase something in-store. The possibilities around this are hugely exciting. While the technological ability to map locations has existed for some time, Pokémon Go is the latest example of how geo-mapping is at the mainstream forefront. That said, we’ve already seen from incidents with over-eager players walking into police stations that awareness of how the technology works is still quite low. This proves location is only as good as the accuracy contained within it – knowing whether a person is inside a store or just walking down a street is the difference between delivering something of value or something that irritation. Equally for brands, it is a wasted impression and turning off a potential consumer. This is why precision for targeting a device or a brick and mortar location is of paramount importance. What brands like BMW are now harnessing is the opportunity to more accurately measure consumers’ physical presence in-store with geo- fencing technology that considers the surrounding landscape such as a public pavement or shared car park. This precision is critical to brands using location successfully in order to target the right customer at the right time. In an increasingly mobile-first world, where the majority of purchases are still made in brick and mortar stores, it is critical that brands to take full advantage of being able to link offline and online worlds, just as Pokémon Go has.